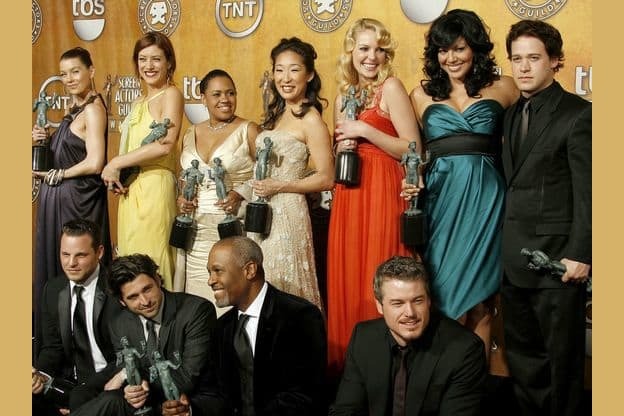 What Grey's Anatomy Character Are You? What deadly sin consumes you? You are shallow and some might call you a whore. You might not be the most intelligent, but you're easy on the eyes. You'll eventually grow up, but until then you're a child in an adult's body. You are incredibly focused and driven (even more so than the others) and are always excited about the chance to prove yourself. Extremely competitive, you do whatever you need to. You may have difficulties conveying your feelings. You may also have a poor bedside manner and find it hard to empathize with most people. You are logical, practical and the best at what you do. You are full of yourself and think of yourself as above everyone around you. You are a romantic. Some consider you a smooth talker, and very intelligent. You are good at your job, and may even be cocky. You like to day dream about the future, and tend to give people more chances than they deserve. You are soft and emotional. You represent the good and polite child in your family. You are noble, although some may consider you weak. Despite maybe being teased a lot, you always try to do the right thing. You always strive to find the best in people. You do not like it when you or close friends/ family are messed with. You tend to be a very confident person. You love animals and children, you like to be nice to others, and you try to be optimistic most of the time. You love hard, and fall fast, and you tend to put more trust in people than they may deserve. You are intelligent, compassionate, and hard-working. you're also easily distracted and indecisive, and oftentimes outspoken. You are dark, and sometimes care about yourself over others. You are a born leader! You are caring over your loved ones, and are a workaholic. You give in easily to temptations, and are often old school. You have two completely different sides, sometimes you can be extremely kind and supportive, other times you're tough and keeps true to yourself. You can usually give good advice to others, being very direct. You're sense of humor isn't as developed as those around you, and you tend to be a very serious person. For characters from season 1, who are you most like?